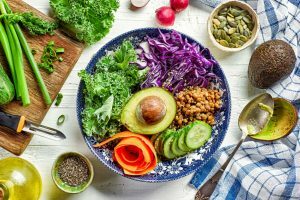 For anyone, professional or non-professional to understand what a vegan diet is, it’s essential to understand the difference between vegan, vegetarian, and any other type of diet. Start with the word “diet.” People commonly use this word to describe a regular pattern or program of food and drink. This can be extended to mean food prescribed for someone for a specific reason, such as a weight-loss diet or a diet that is low in sodium. According to most dictionary information, this word has been around for about 800 years. It was used to describe habitual food and drink patterns, and to indicate a way of living. The roots of this word are in the Greek language, especially the word “diaita” which indicated that a person led life in a certain way. This foundation is especially helpful for those who go beyond eating any and all foods offered to them, or even to those who include meat in their meals. Everything you need to know in order to transition to veganism! For example, a person who considers themselves a vegetarian will not only restrict their diet. They don’t eat meat, fish, or poultry. This forces them to reject certain food offers and to stay away from restaurants and other public eateries that can’t serve their particular diet needs. If they do patronize those public places, they will be careful to select only those items that fit their non-meat diet. They may consume eggs, cheese, and other dairy products, or they may restrict their vegetarian diet to dairy but nothing that would otherwise be connected to animals (such as eggs). You could say they not only adhere to a certain diet, but they also live a certain lifestyle, especially if food choices limit the places they can frequent or the people with whom they socialize. A vegetarian may also have reasons other than health for staying with this special diet. 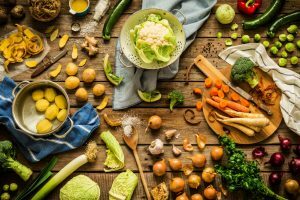 If they have strong philosophical reasons for not consuming certain foods, they would almost certainly be living a specific lifestyle, as defined by the ancient Greek word. This would distinguish them from someone who simply eats fruits and vegetables because they prefer them for taste. The difference is that a vegan eliminates all animal-connected products from the diet, including dairy. In some cases, the individual will also avoid using leather, wool, silk etc. for clothing choices because these materials are also produced by animals. Vegans generally have a strong conviction in this area, a feeling for animals that defines their lives. A true vegan has made a commitment to a certain standard of living. Not only will they avoid consuming meat, dairy, and other animal products, they will devote some of their time to activism, with a focus on animal rights. The key word for committed vegans is “exploitation.” They firmly believe animals are not to be exploited and used for commercial purposes. This is usually based on a strong respect for all life. Vegans will often combine this conviction with a strong focus on the health benefits of following a vegan diet. They are as much interested in their own personal benefits, though this is often equal on the scale with avoiding the use of animals for food, clothing and other products. Those who are interested in details about vegan diets and the lifestyle that goes with them can learn more by visiting The Vegan Miracle. 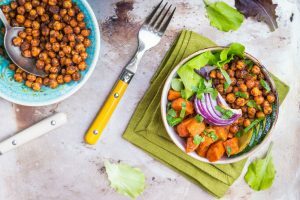 There are also studies conducted by such as the World Health Organization (WHO), the British Medical Association (BMA), and others that find a vegetarian diet is far healthier than one including meat. 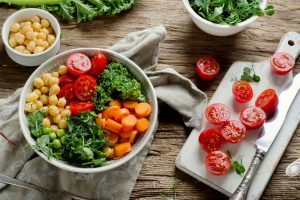 In addition, the studies show reducing or eliminating meat content has a positive effect on the chances of suffering certain chronic diseases and even certain types of cancer. The close one gets to a true vegan diet the better, according to most of these studies. Companies offering health insurance recognized the benefits and may give vegetarians and vegans a discount. 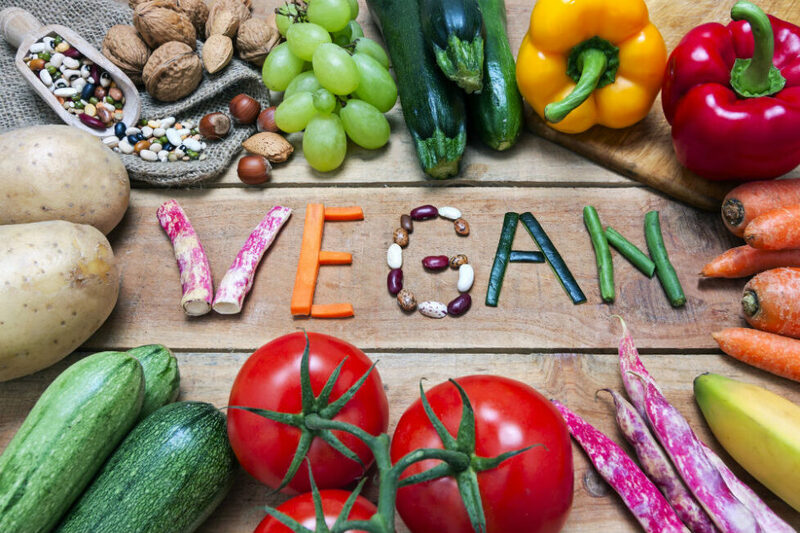 Individuals who live the vegan lifestyle and advise against the use of animal products also focus on the environment and on the benefits for the world population. Information from various organizations shows that land used for raising crops instead of for cattle-grazing provides does much more to eliminate world hunger. From the return-on-investment viewpoint, cattle consume more protein in the grains they eat than they can provide in meat. If you’re interested in making major changes in your diet, whether you decide to become a vegetarian or a vegan, you can do so gradually. Get started by looking closely for specific products in your area store, trying various products until you develop a list of foods you like. People usually report feeling better, in a general way, after a period of eating in this manner. You’ve read enough now to have a basic understanding of what a vegan diet plan is. But, you’ll benefit from digging a bit deeper into the subject (especially if you dig into your own garden for freshly grown items). As mentioned, a true vegan excludes from their meals all dairy products, eggs, meat and any other ingredients derived from animals. In addition, some vegans avoid foods that may use animal items during the production process. Another vegan might state that the use of honey from the bee is truly exploitation of the creature, which is being disrespected just as a cow or other animal is when its products are used. If you are in the position of preparing a meal for other vegans, you may want to avoid using honey or any other item you are unsure about. This may help you avoid difficult or embarrassing situations. So, what do vegans eat? You’ll be safe and true to the vegan lifestyle with grains, beans, legumes, fruits, and vegetables. You may be able to find popular foods in a vegan version. Some “ice cream” and “cheese” will fit the bill, as will veggie burgers. 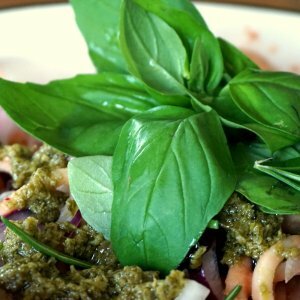 Naturally, you can enjoy a green salad, many pastas, even grain-based chips. Try spaghetti with tomato sauce or any other non-dairy sauce. Bread is generally considered vegan as well. If you are considering becoming a vegan, make sure you focus on the idea of transition. You don’t have to do this overnight. And, you don’t have to do it on your own. There is plenty of great information about vegan diets, including special cookbooks. You’ll also find a lot of support material when you’re thinking about a true vegan lifestyle. 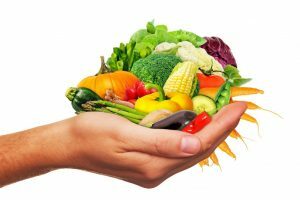 What you probably need to successfully live the vegan lifestyle is good advice and effective guidelines, especially in the early stages. Fortunately, this help is available, and very convenient. This would be a good place to start:The Vegan Miracle. Most people who start a new project or try to make changes in their habits need a path to follow, one that has worked for many others. You certainly don’t need a confusing textbook full of details and scientific information that’s difficult to understand. What you need is a simple guide, interactive and accurate, so you’ll have the foundation for a successful transition to veganism. There will be some “science” in any guide that helps you change your diet and eating habits. This is essential. What you’ll have is basics of nutritional balance, real information about a healthy diet, and information that will guide you through the social aspects of the vegan lifestyle. For example, you may be confused and feeling stressed about making this change, because you worry about what will happen when you’re invited to someone’s home. Are you wondering what you should do when you go to a restaurant? The providers of your guide will tell their story and you’ll understand how you can lose weight and feel better. But, you’ll also know what to do in various social situations, which can be a problem for the beginner. Don’t be afraid, don’t hesitate because you think the guide will be too complex for you. This is only a few dozen pages of usable information, including easy recipes that have been tried and proven to work. You’ll also have, close at hand, the references and links you’ll need in print and online, so you can watch videos on this important subject. You can learn about how athletes have used the vegan diet and lifestyle to make major changes in their lives. 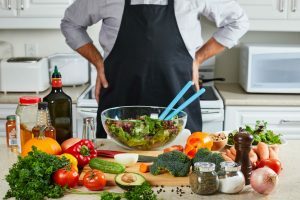 You’ll have lifestyle tips, how to prepare food, the best way to organize your kitchen, which foods you can always rely on, and even the best tools to have in your kitchen to make your vegan diet work smoothly. This is a legitimate question for anyone considering a vegan diet for the long term. The answer is “Yes.” Your vegan cuisine can be very tasty. Better yet, it will add a unique joy to your life, especially when you begin to see the body you’ve always dreamed of. You’ll be living a lifestyle that reduces all the unnecessary “extras,” which means you’ll find healthy foods have outstanding potential to deliver a happy life. As you make your way through your guide to the vegan lifestyle you’ll find information on the ethics of this life choice. This will help you understand the focus on species and using materials from those species in your daily food preparation. The vegan lifestyle will also help you understand that this is a way of living, teaching you the importance of kindness. You’ll make the important connection between health and happiness. 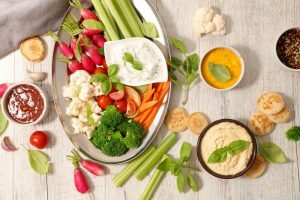 In addition, you can begin to trust and enjoy raw food, as you also learn how to focus on organic foods as part of your plan. If you need some incentive, you’ll also read about famous people, celebrities who life the vegan and vegetarian lifestyles. In addition to the impact this will have on the world around you, you’ll discover personal benefits, such as the possibility of losing pounds and keeping them off. You’ll learn how to start with vegetarianism and then make the transition to veganism. You’ll find the details on how this change makes a major difference in your health, comparing that health before and after the diet transition. The simple answer is, “Yes, there are rules.” But these are more like strict guidelines than laws. If you follow them, you’ll enjoy the vegan lifestyle. To give you an idea of the path you’ll be on, here are the highlights of those foundational rules. First, take a cue from athletes who understand the importance of protein of the correct type and in the proper amounts. Then discover what you should be eating from the start of the day to the evening of the day. Veganism is an everyday lifestyle. You’ll also have effective information on how to organize your kitchen, so the transition through vegetarianism to veganism is possible and practical. One of the most important elements of making a successful transition involves getting off to a fresh start. This involves proper fasting and juicing. You vegan guide should also help you with practical, proven tips that make this easier. In fact, those tips will make it even easier than easy, so to speak. Finally, you’ll need directions toward the “superfoods” that will be a major part of your life, and will help you achieve your health goals and diet goals. As mentioned, you’ll get inspiration from some of the very-famous athletes that use a vegan diet and live the vegan lifestyle. All effective guides, no matter what subject they address, contain important numbers. For example, when you start the vegan lifestyle you’ll need to know about 14 superfoods. You need details, you get details. 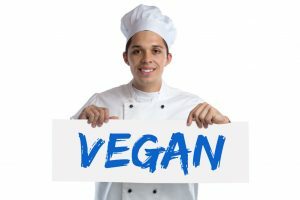 In connection with the information about vegan athletes, you’ll also read quotes from celebrities who are vegetarian and vegan. You’ll find out a lot about dozens of recipes that focus on raw-but-delicious dishes you can prepare with the most-basic cooking skills. If you need additional information and support, your guide should also provide dozens of references, a key resource with all the information you need in one place: movies, articles, videos, and more. Of course, this isn’t all theory. In fact, the foundation of an effective guide will always be the true, personal story of someone who has been through it. Remember, at the beginning you read about the Greek-language basis for the word diet, which has been in use for centuries. Not only was this word used to refer to food habits and drink patterns, the word “diaita” actually meant a person was living a particular type of lifestyle. Living life in a certain way meant having a foundation that goes beyond eating all foods, basing your choices on personal taste and preference. It certainly goes beyond the elimination of meat from your meals, though this is certainly a good start. Your first step, as you read, should be to fully understand the difference between vegetarian and vegan. This involves more than knowing that the first takes meat off the menu. Living the vegan lifestyle involves a certain daily pattern, developing habits that become second nature. You’ll most likely lose plenty of weight as you pursue this lifestyle, but you’ll also benefit from a generally healthy feeling. Make a commitment to this standard of living, avoid meat, dairy, and other food products with an animal base. You’ve made a great start. But you may find yourself becoming active in animal rights or advocating for the use of organic foods. This means you’ll commit to a cause – avoiding the exploitation of species. For you, animals may come to be friends that should not be exploited or used for commercial purposes in the food and cosmetic industries. You’ll probably discover a new respect for all life on the planet. To repeat: Vegans often combine this conviction with a strong focus on the health benefits of following a vegan diet. They are interested in their own personal benefits, of course, though this is often equal on the scale with avoiding the use of animals for food, clothing and other products. 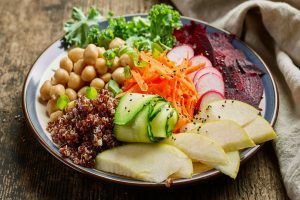 If you’re interested in details about vegan diets and the lifestyle that goes with them can learn more by visiting The Vegan Miracle. And again: If you’re interested in making major changes in your diet, whether you decide to become a vegetarian or a vegan, you can do so gradually. Get started by looking closely for specific products in your area store, trying various products until you develop a list of foods you like. People usually report feeling better, in a general way, after a period of eating in this manner. When you are on the quest for a healthier lifestyle, you’re gonna want to include more vegetables in your dishes but more importantly a way to prepare them easily. Finding a vegetable chopper can be a difficult thing as there are so many options on the market right now. Today we have put together a list of the 10 best vegetable choppers on the market right now! We also wrote a full review for our 5 favorites. The first vegetable chopper up for review is the Mueller Onion Chopper Pro Vegetable Chopper. We believe this product may have exactly what you are looking for in a food chopper, making it one of the best on the market right now. The storage container keeps the smells in and has the ability to hold up to 4 cups of onions (or 1.2 litres). Chopping screen is SO SHARP! Be careful! We believe the Mueller Onion Chopper Pro Vegetable Chopper is a fantastic product on the market right now. We think it is incredibly easy to use and can chop through anything. Now, because it can chop through anything, it has been made extremely sharp. So please keep this product away from any children and be careful when you use it! It is affordable and works—what more could you want in a product? The second vegetable chopper that we think you should consider purchasing is the Vidalia Chop Wizard. What drew us to this product is the lower price point. There are so many that range in features and price, which is why we decided to review one on the low end of the spectrum. We believe everyone should have great products in the kitchen, no matter their income or their budget. The Vidalia Chop Wizard is one of the best chopping devices at this low price point, but we do not feel that it is by any means the best blade chopper on the market right now. Yes, it comes with two blades that are very sharp, and you have to be very careful with them. When handling this product, always ensure you are being safe. One of the best things about it is the cleaning process as it can be placed easily right in the dishwasher. However, the downside is that we have found the blades sometimes have easily broken off. The product could be made more durably and out of a higher quality of material. If you are looking to just occasionally use it and do not want to spend a lot of money, the Vidalia Chop Wizard may be the best product for you right now. The third vegetable chopper that we are reviewing today is the Vremi Food Chopper. This is a very popular option that you can buy in numerous locations. It is one of the best for a variety of reasons, but mainly because of its amazing features. Prepping a meal is something that you do not want to take a long time, which is why the Vremi Food Chopper is something you should look into. We think that this product is going to be especially good for beginners in the kitchen as it is incredibly easy to use. One of the best things about it is its price point. Let’s be real here: Not everyone wants to spend an arm and a leg on products in the kitchen, especially if you are not a professional chef. This is why we think this product is great for anyone on a budget. With that being said however, the main reason that it is cheap is that it is not the highest quality of craftsmanship on the market right now, and it is because of that, this may not be the absolute best chopper on the market right now, but it is a great one at its price point. The next best vegetable chopper up for review is the Kuhn Rikon Swiss Pull Chop. This is one of the cheapest vegetable choppers that you can purchase right now. Whenever looking at a product at a cheaper price point, we want to make sure it has not sacrificed any integral features that are found in other products on this list. As we mentioned before the Kuhn Rikon Swiss Pull Chop is one of the cheapest chopping devices that you can have in the kitchen. We believe everyone, no matter their income, deserves products that can help them cook fantastic meals. We are happy to see manufacturers such as Kuhn Rikon develop products that work, but are cheaply priced for anyone’s budget. With that being said, this is a great product at this price point, but that does not make the Kuhn Rikon Swiss Pull Chop the best chopping product on the market. While the blades are made out of quality material, we found the entire chopping device felt a bit cheaply made, simply because it is cheap. One thing we loved about the product is that it has a non-slip base, making safety very important. If you are a beginner looking for a chopping product, the Kuhn Rikon Swiss Pull Chop may be your best bet. You don’t want to spend a lot of money all at once, especially if you do not cook a lot. This product does work, and at its cheap price point, you can test it out for yourself. It is really easy to use, by simply pulling on it, so test it out for yourself and see what it can do. The final vegetable chopper we are reviewing is the Ultra Chef Express Food Chopper. This is another product that is so affordable for anyone on a budget. It is also very popular, and we want to see if it lives up to the hype. Made with 3 mandolin inserts—a slicer blade, a julienne blade and a blade meant to shred meat or vegetables. If you are looking for a manual alternative to an electric model, that is very affordable, the Ultra Chef Express Food Chopper may be the best chopper for you right now. This product actually works and is very easy to use. It may be tiring on the arm, if you are really grinding down, but it is professionally made and more importantly, very safe to have and use in the kitchen. All five of these vegetable choppers are going to change the way you prepare your meals. They are easy to use, affordably priced, and are made out of durable stainless steel that will never bend or rust. Copyright © 2018 Vegan Pursuit | All Rights Reserved.